Ahmad Daham crowned champion of the 'Federal Tyres King of Desert' in Bahrain after eliminating Fahad Al Jadei in the semis to meet Luke Fink in the finals. 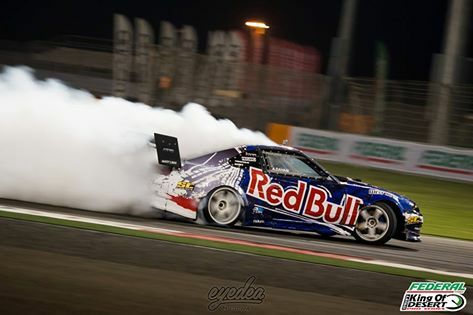 Daham,now a two time champion in Pro Drift Series (2016 and now 2017),Capitalized on his mastery of the floodlit legendary Formula 1 Circuit - Bahrain International Circuit,relying on his Senshi Red Bull flagged 2JZ closing the gap between him and Fink. He did good in chasing in the first lap putting his Senshi's nose right on Fink's back. In the second lap of the finals,knowing he had the advantage to take the win,he only needed a complete lap to take the 2nd win home capitalizing on Fin's mistake loosing drift at the last clipping outrunning him from the start to the initiation point. For a moment the two put up incredible show as fans cheered on. ''Great ending for a great event. I was able to grab the win for the second consecutive time at the King of Desert drift championship, after loads of pressure. I'd like to give this win to my wife and mother who were my biggest supporters, and thanks to the sponsors Westlake Motorsport Tires Middle East and Tensai Tuning who supported me all the way, and the team behind the great work. Special thanks to Haron and Yanal for doing their best and helped me achieve this. I wouldn't have done this without them. On to the next one!'' Daham posted on his social media after the win. Qatar Drift drivers shine in the semi pro.With Abdulraham Fakhroo taking the second podium and Saoud Allatiyah 3rd. 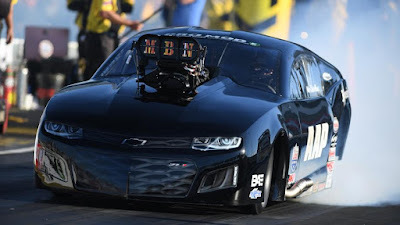 Fakhroo seems to be enjoying a good ride in the semi pro with his brutal roush yates Ford Mustang with two podium appearance in less than 2 weeks. One in Qatar Drift Championship Round 2 and now in Federal Tyres King of Desert in Manama. Federal Tyres King of Desert is a prestigious series of professional drift organised by Federal Tyres happening around the entire Middle East with Bahrain hosting its biggest season finale at the legendary Formula 1 Circuit track. With inclusion of professional drift drivers from Europe and Asia,Federal Tyres King of Desert continues to enjoy the spotlight as one of the biggest drift leagues in the Gulf.